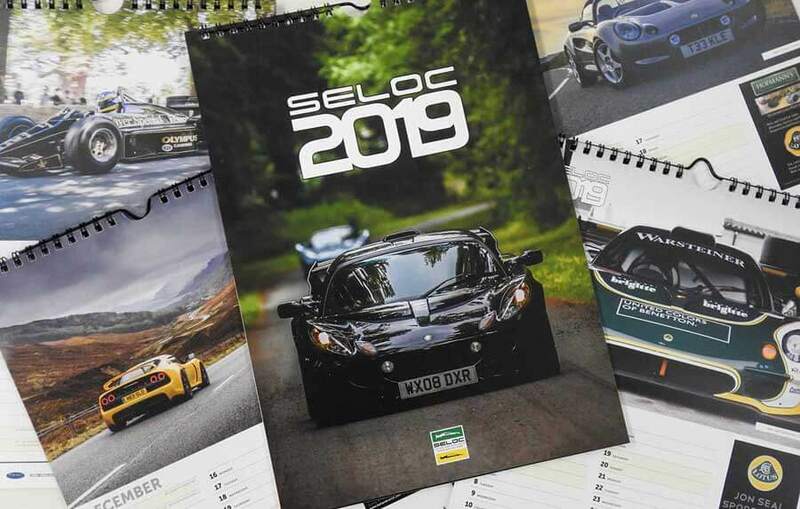 Great photography helps the 2019 SELOC Lotus sports cars calendar take the chequered flag. The SELOC calendar features photography taken by club members, both amateur and professional. The months of 2019 showcase 12 shots including Ayrton Senna’s Lotus 97T Formula 1 car in it’s famous JPS black and gold livery, a Lotus GT1 Le Mans / Endurance sports car and many road going models from the last few decades. If you want a copy for your wall head over to https://shop.seloc.org before they sell out or become a Club Supporter and you’ll get one for free with your membership.